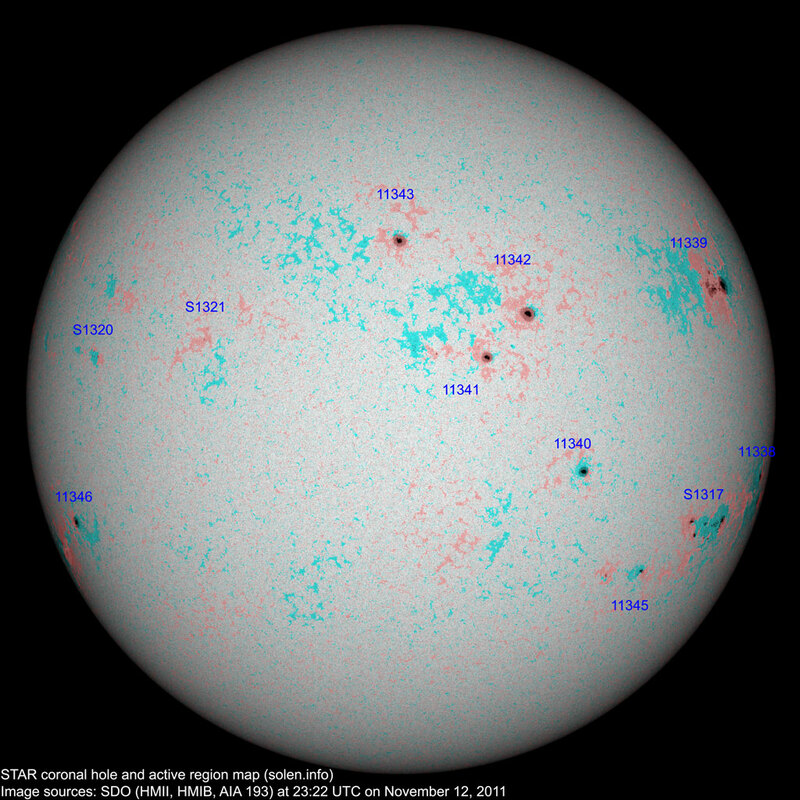 Last major update issued on November 13, 2011 at 05:45 UTC. 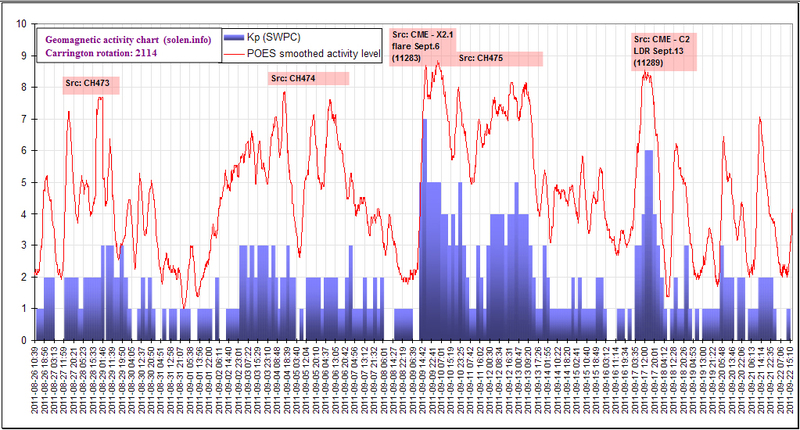 The geomagnetic field was quiet on November 12. 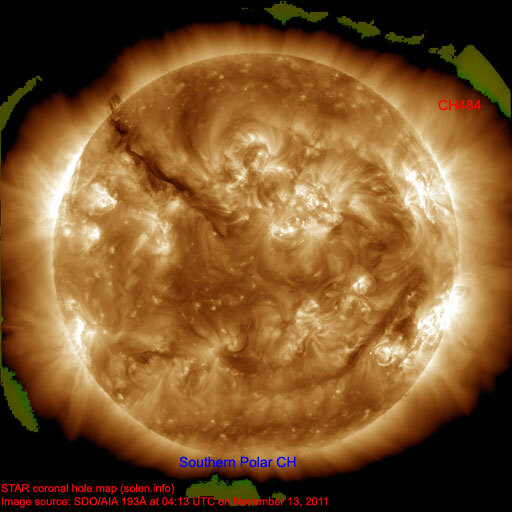 Solar wind speed ranged between 346 and 461 km/s. 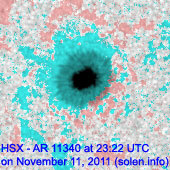 A weak solar wind shock was observed at 05:09 UTC at SOHO, the arrival of the CME observed on November 9. 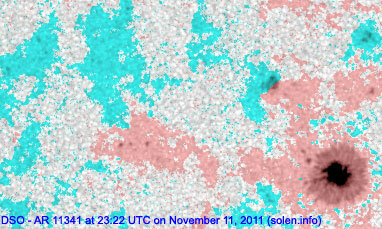 Solar flux measured at 20h UTC on 2.8 GHz was 168.8 (increasing 17.8 over the last solar rotation). 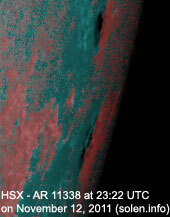 The planetary A index was 2 (STAR Ap - based on the mean of three hour interval ap indices: 2.3). 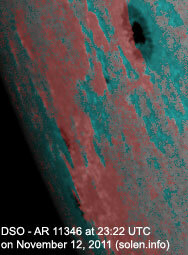 Three hour interval K indices: 00111200 (planetary), 00112210 (Boulder). 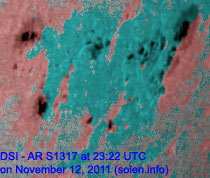 Region 11338 [S13W80] decayed slowly and quietly. 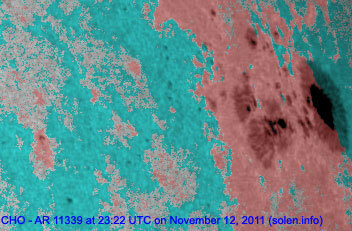 Region 11339 [N19W63] decayed slowly and was mostly quiet. 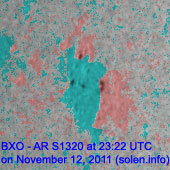 Flare: C2.5 at 07:50 UTC. 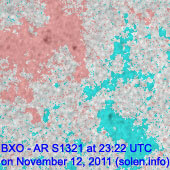 Region 11340 [S08W29] was quiet and stable. 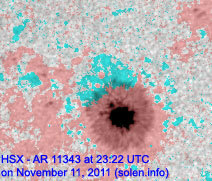 Region 11341 [N10W11] gained a few spots and was quiet. 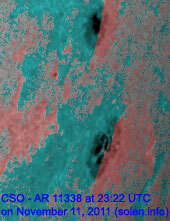 Region 11342 [N16W21] decayed slowly and quietly. 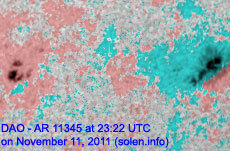 Region 11343 [N28E01] was quiet and stable. 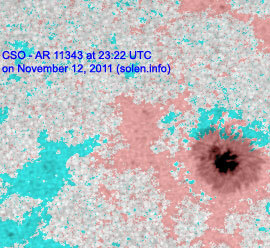 Region 11345 [S25W42] decayed slowly and quietly. 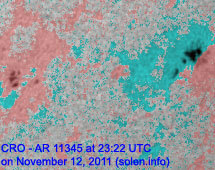 New region 11346 [S20E70] rotated partly into view on November 11 and was numbered the next day by SWPC. 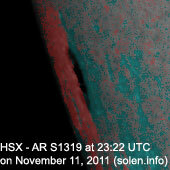 [S1317] emerged in the southern hemisphere near the central meridian on November 8 and developed slowly on Nov.9-11. 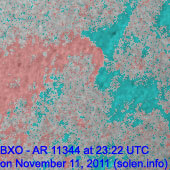 (SWPC has this as region 11344, a separate region further south and which is now spotless). 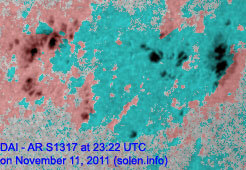 Location at midnight: S18W61. 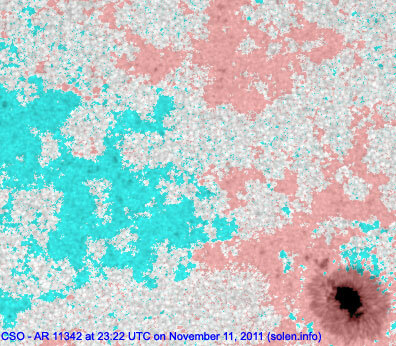 Flares: C1.8 at 16:43, C2.4 at 21:26 UTC. 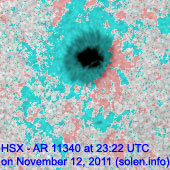 November 11: A small partial halo CME was observed following a long duration event in region S1317 early in the day. 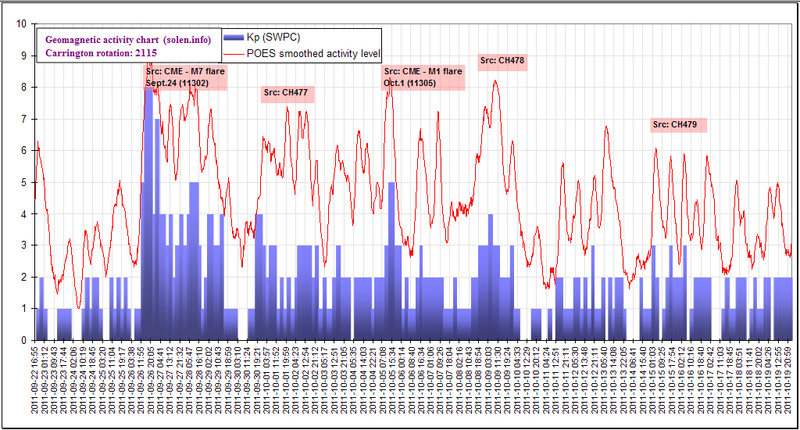 November 10, 12: No obviously Earth directed CMEs observed. The geomagnetic field is expected to be quiet on November 13-16.